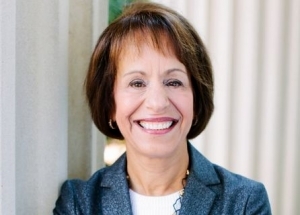 Today is embattled UNC-Chapel Hill Chancellor Carol Folt’s last day on the job. UNC Chancellor Carol Folt, whose last day on the job is Thursday. Her interim replacement will be named next week, UNC confirms. An interim chancellor will be announced by Interim UNC System President William Roper next week, UNC confirmed Thursday. Roper held a closed-door meeting with faculty leaders on campus Wednesday and has a short-list he’s considering, according to faculty who attended. Roper is himself holding an interim position after former UNC President Margaret Spellings exited that position following tensions with the UNC Board of Governors. He laid out his qualifications for an interim chancellor for UNC’s flagship school at last week’s meeting of the board of governors. Roper said he expects the interim chancellor may need to be in the job for up to 18 months while a search is conducted for the school’s next leader. Roper said he’s looking for “a well-known entity here in North Carolina” who will be “ready to start on day one” without needing months to get acclimated. He’s also looking for “someone of stature” who “has the gravitas to lead” he said. Lastly, he said, they must have his trust and the trust of other leaders.